Past participants include many in water supply, energy, agriculture, and environment in developing countries. The Global Social Benefit Institute (GSBI) at Santa Clara University serves social entrepreneurs around the world who are developing innovative solutions that provide a sustainable path out of poverty. 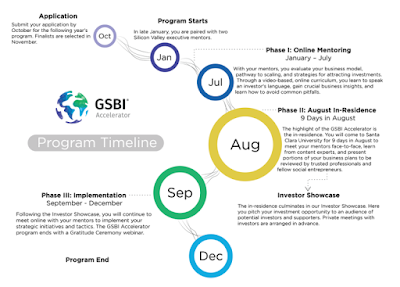 The GSBI Accelerator assists selected participants with business plans and other capacity building in support of investment. It provides quality, in-depth mentoring delivered by Silicon Valley business executives. 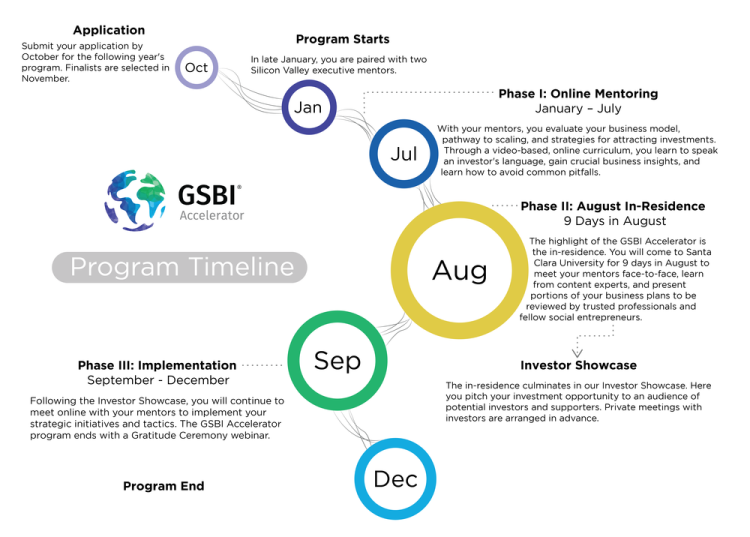 The GSBI Accelerator program prepares trailblazing social enterprises to scale. You work together with two Silicon Valley mentors to improve every aspect of your organization. Applications for our next GSBI Online and GSBI Accelerator cohort, launching in January 2018, are due October 20, 2017. Founded in 1997, the Miller Center for Social Entrepreneurship, formerly known as the Center for Science, Technology, and Society, is one of three Centers of Distinction at Santa Clara University. The Centers embody the University’s mission to unite students and faculty with Silicon Valley leaders to address significant public issues. The Miller Center accelerates global, innovation-based entrepreneurship in service to humanity. Its strategic focus is on poverty eradication through its three areas of work: The Global Social Benefit Institute, Impact Capital, and Education and Action Research. Santa Clara University, a comprehensive Jesuit, Catholic university located 40 miles south of San Francisco in California’s Silicon Valley is California’s oldest operating higher-education institution.